Performing Space is an app designed for this presentation. Through acting and (re)enacting stories the interface focuses on an embodied way of transferring knowledge of a specific site through the use of GPS technology. The app was presented at 4S/EASST 2016 Conference in Barcelona for the track Sensing, Walking and Embodiment With and By Technologies. Officially launched more than 13 years ago, 22@ is one of the most ambitious urban regeneration projects in the world. 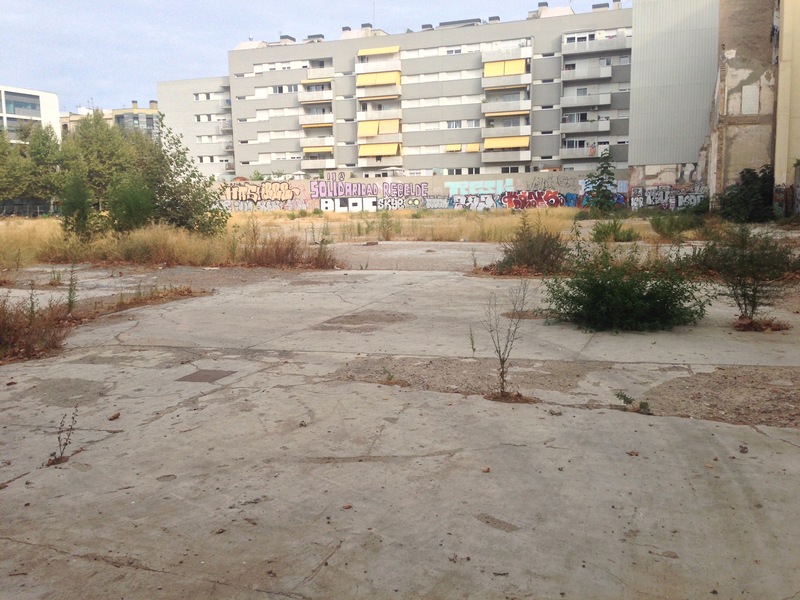 Initiated as a municipality project to transform the industrial Poble Nou neighborhood into a technology and knowledge-based district, today the so-called ‘Makers District’ houses universities, research and training centers, startups and high tech companies. It is not clear, however, how these creative hubs and projects in the area are used and perceived by the local community. 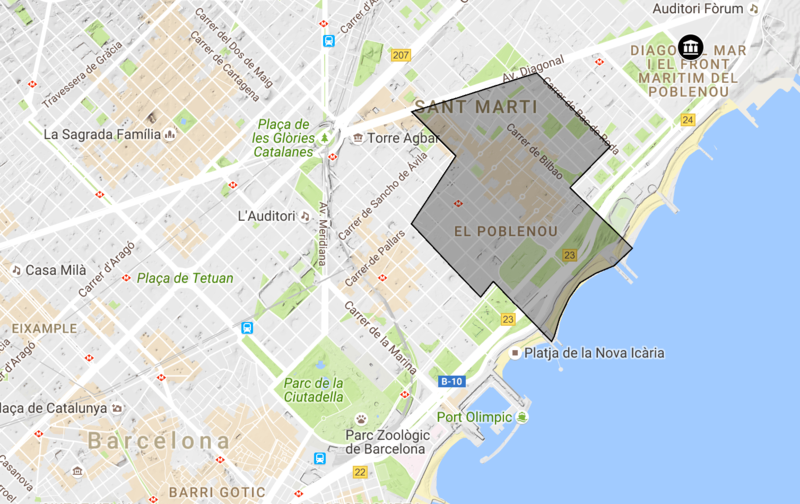 It is not clear how the perceived and lived space are played out in the neighborhood; for instance, how are innovative projects (such as the fab lab) in Poble Nou perceived by locals? Who participates in the transformation and use of sites and businesses and in what ways? Performing Space is an application that engages with these questions by building narratives around the neighborhoods local businesses and urban furniture. Through reenacting and building on the narratives the stories evolve. The proposal for this app sets off from Jacques Ranciére’s scepticism of ‘stultifying’ knowledge and proposes a process- and affect-based way of acquiring knowledge through performative mapping with GPS technology. A number of storylines are being assembled that present a controversy about a specific site. Each storyline takes a different stance on the controversy. These stories become accessible to participants of the conference through the use of location-aware mobile technologies where the sound implicitly gives directions. Only by following the exact same route does the story unfold – when deviating from the track, the audio fades out. The public spaces that the participants pass through are the backdrop of the stories, a shared space between the guides and the participants. An intensive engagement with the story-teller is proposed through a performative cartography. Through taking the role of the storyteller, at some point of the track, the participant is invited to continue his/her storyline; a personification of the storyteller becomes a strategy to follow on Ranciére’s Emancipation of the Spectacle in defying “the opposition between viewing and acting”. This way non-fictional stories (told by local inhabitants) become mingled or juxtaposed to fictional ones (stories added by the listeners). This experience can be repeated with other participants through following, listening, reenacting and contributing to the stories of the previous groups. Via a website, it will be possible to keep track of the evolving stories over time through the performances of different map-readers/actors. So even after the day of the conference, the actors will be able to see their persona growing and being reenacted by different participants. 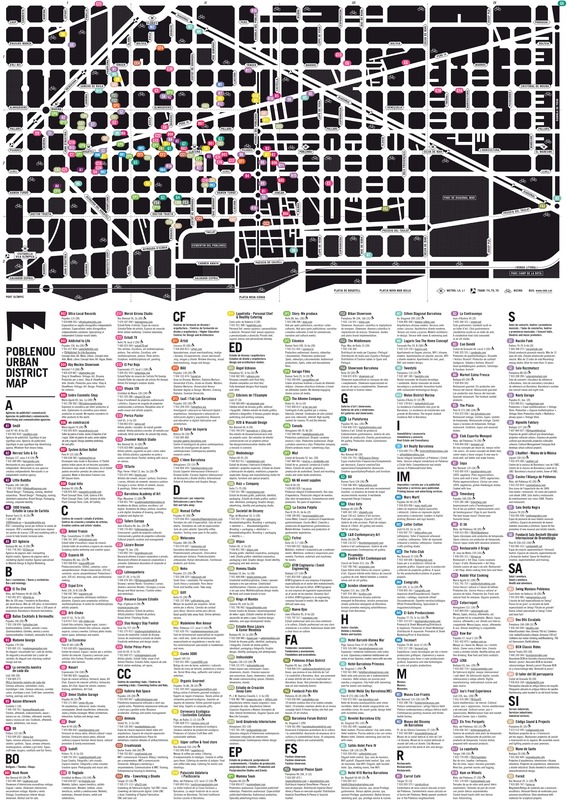 Map of Poble Nou depicting its local businesses, startups, co-working spaces, spaces of production, design hubs, fablab, etc.